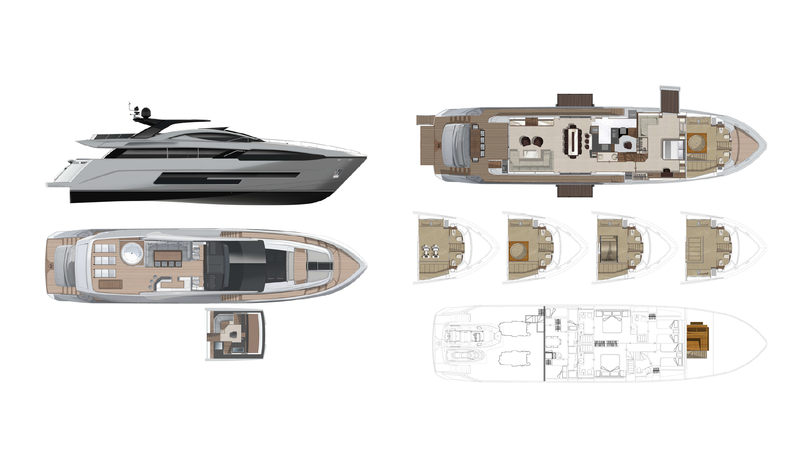 The final result is a sportive and timeless “Fusion design” that brings together the best of the individual design elements. 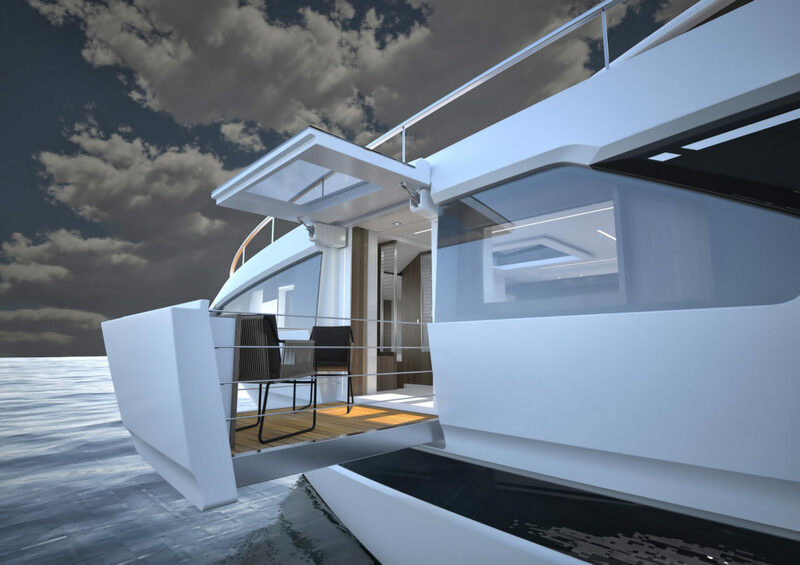 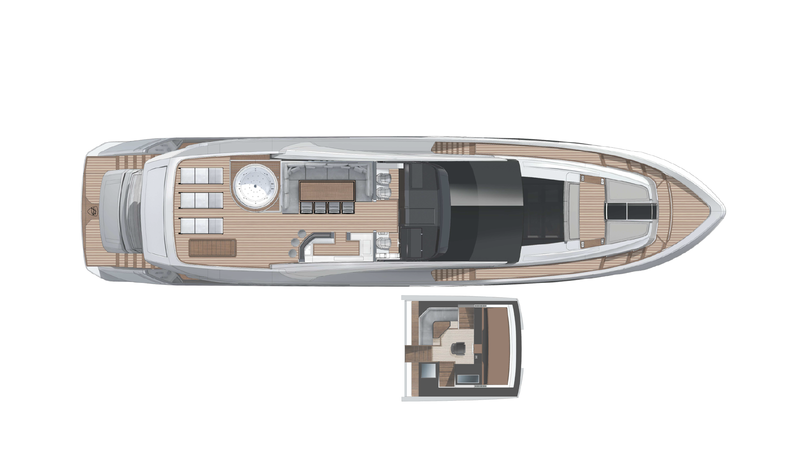 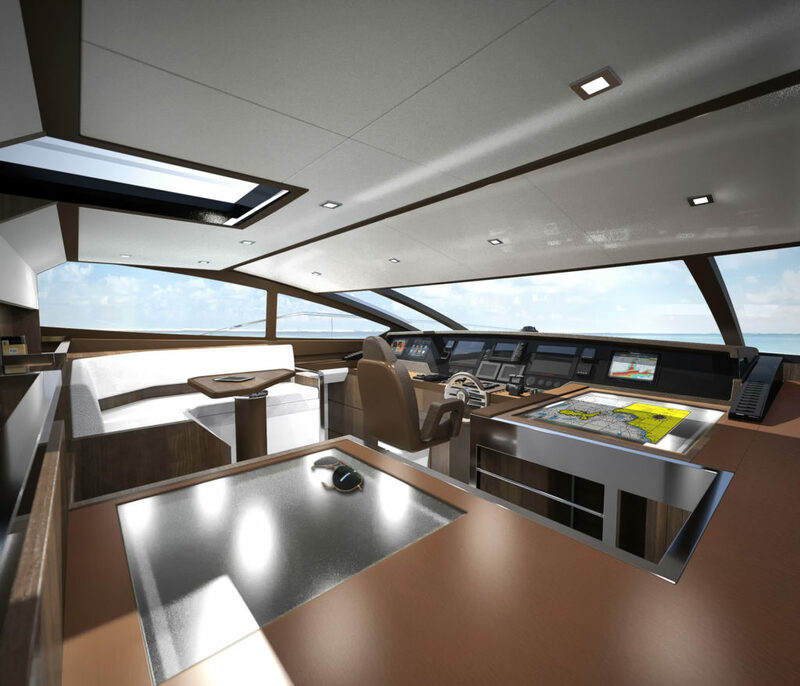 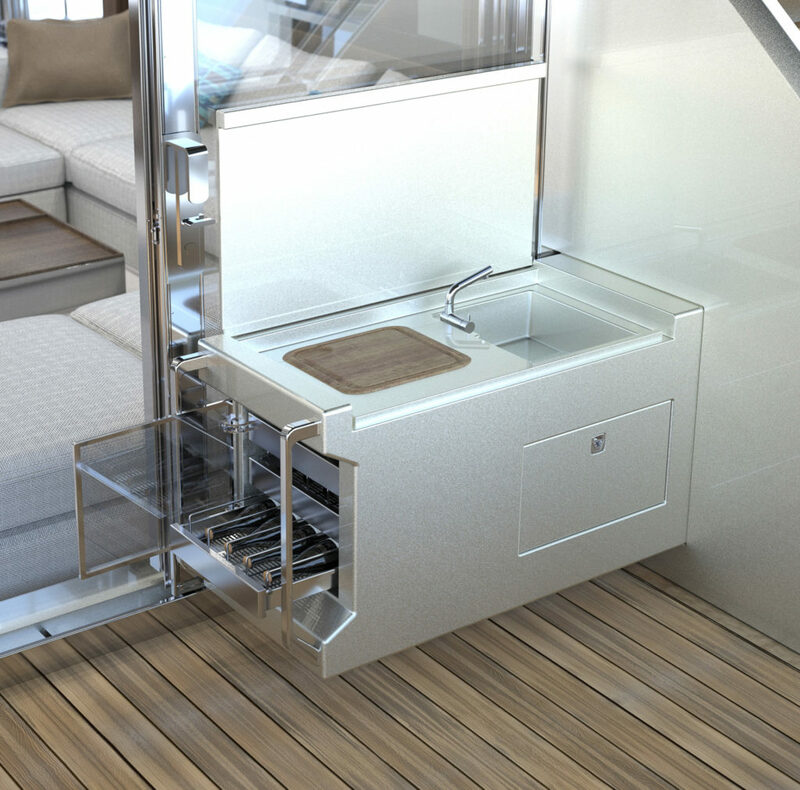 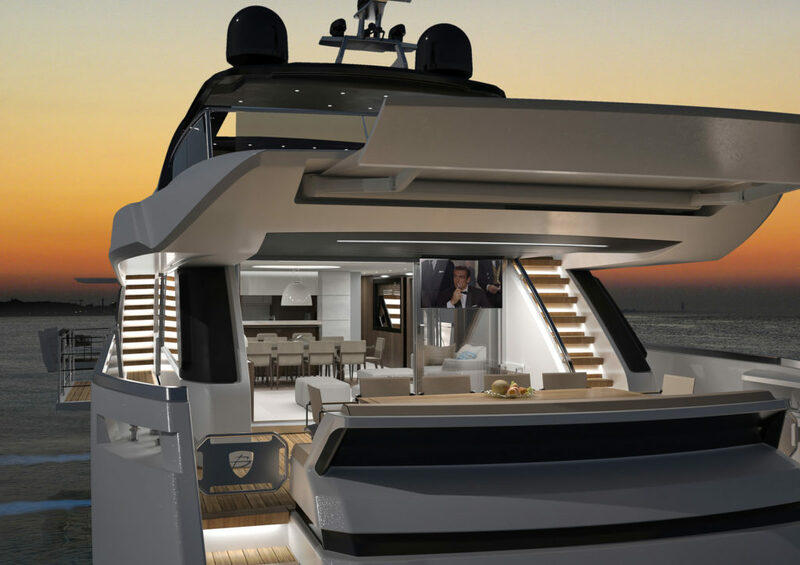 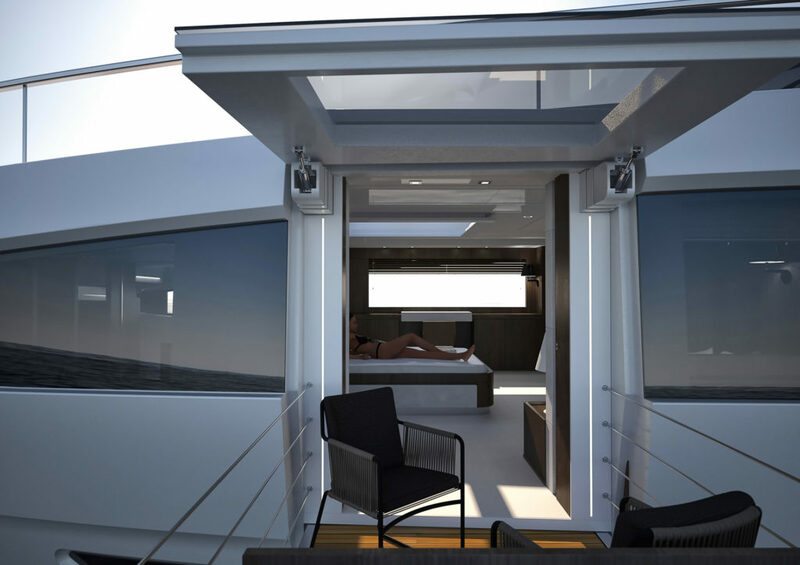 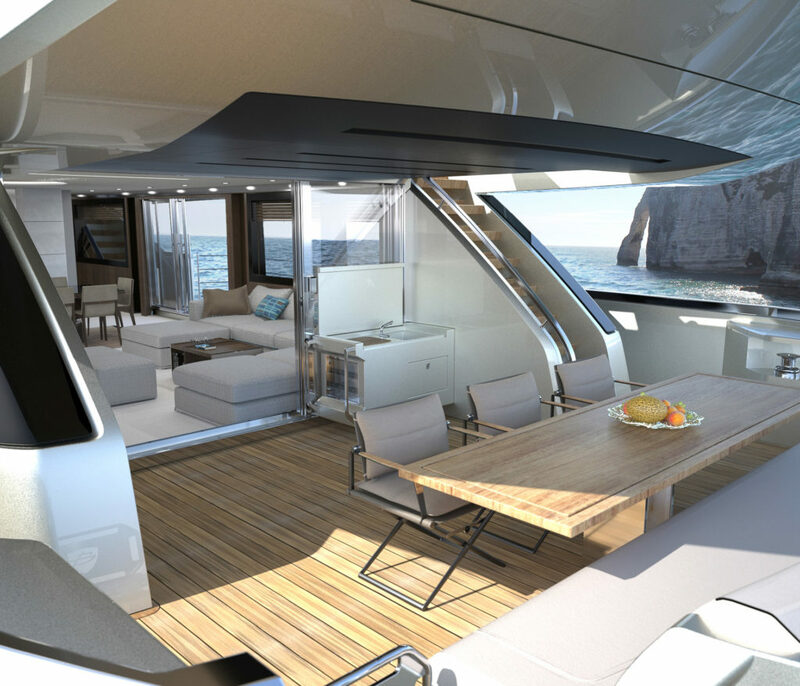 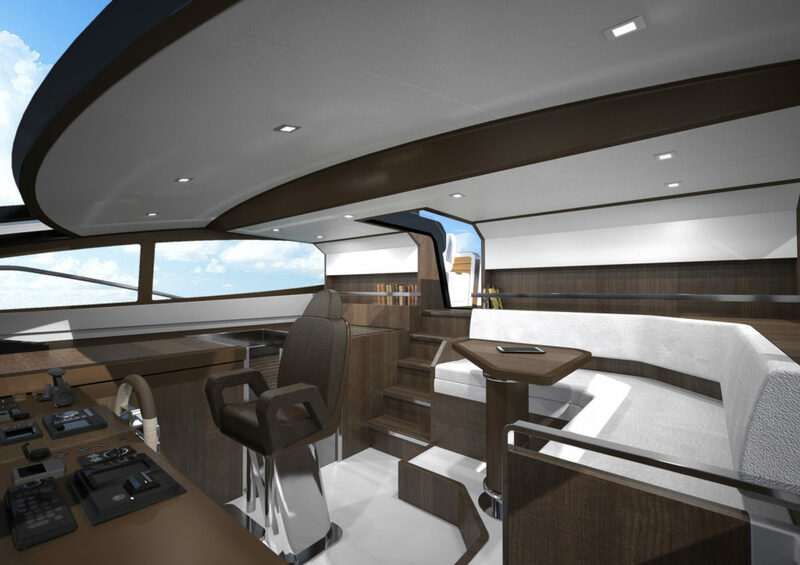 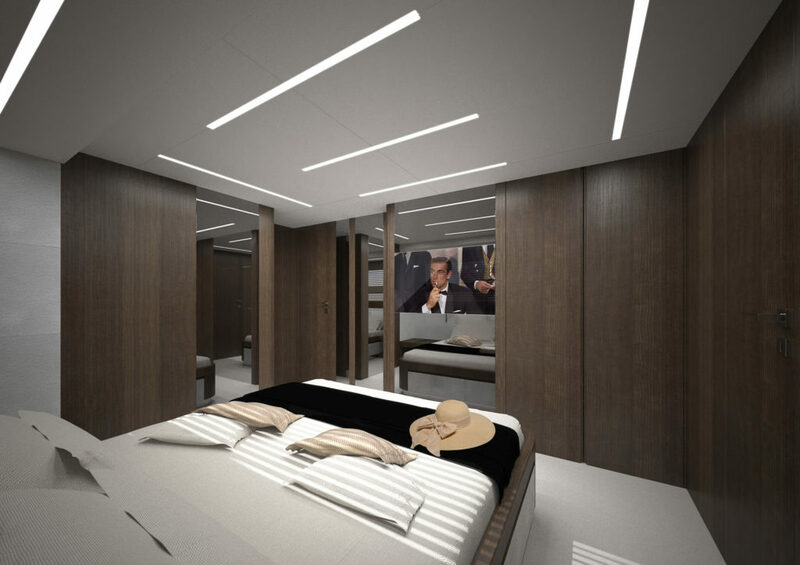 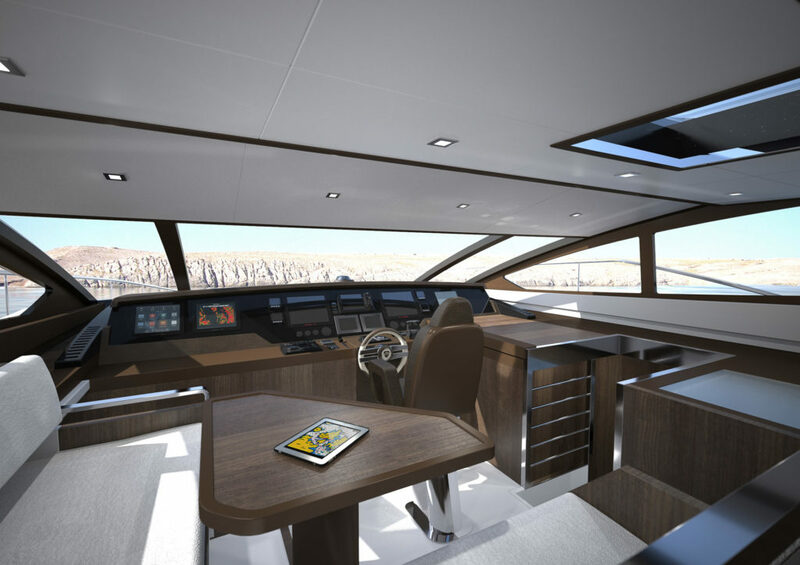 An important feature is the position of the owner cabin on the main deck, reaching across the entire hull. 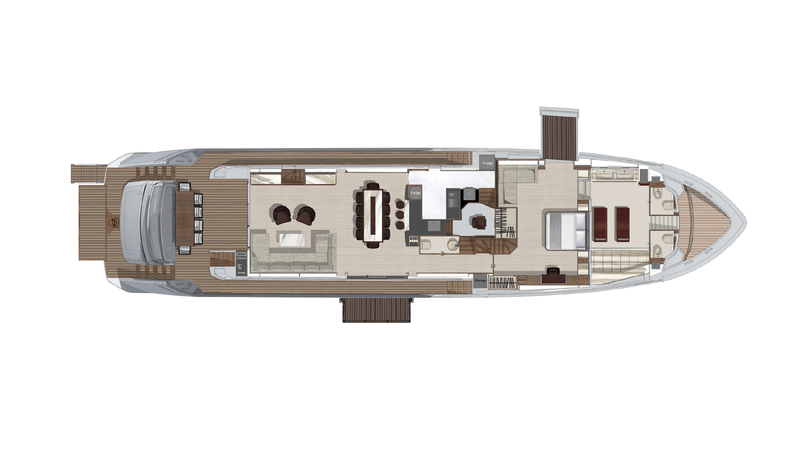 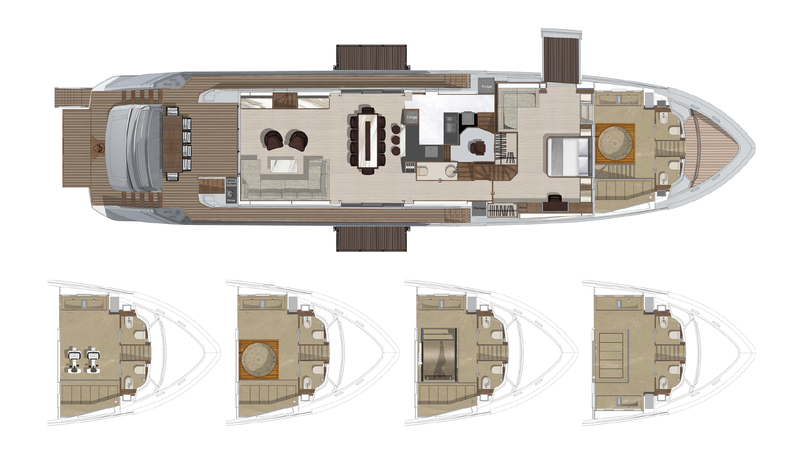 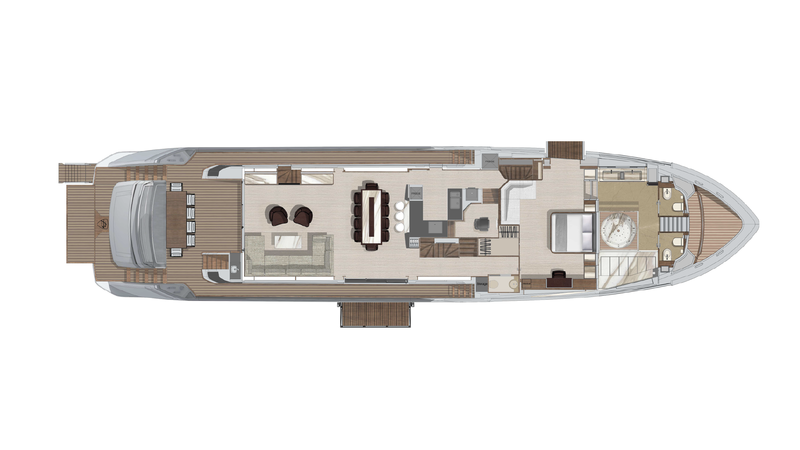 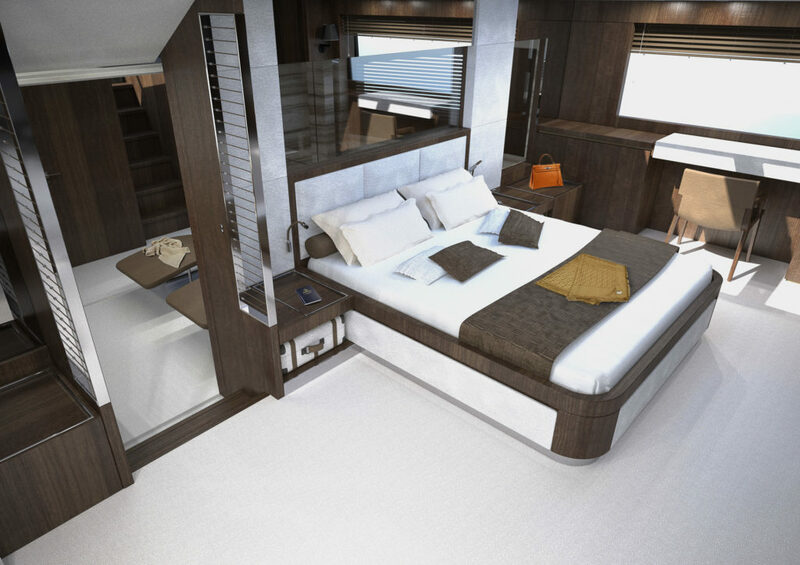 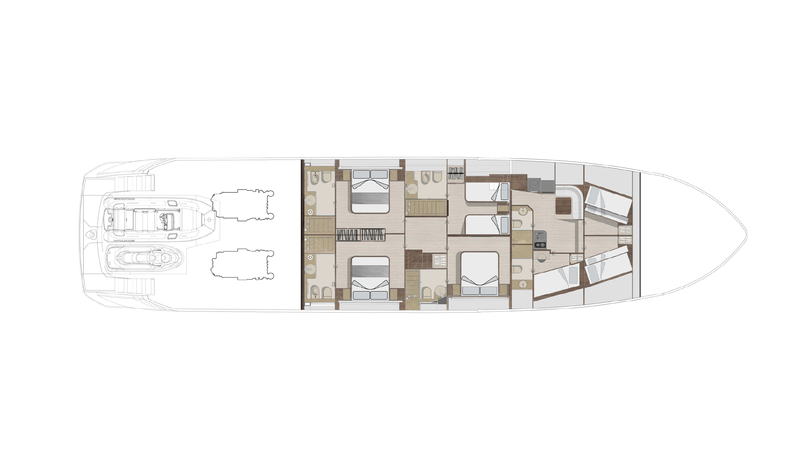 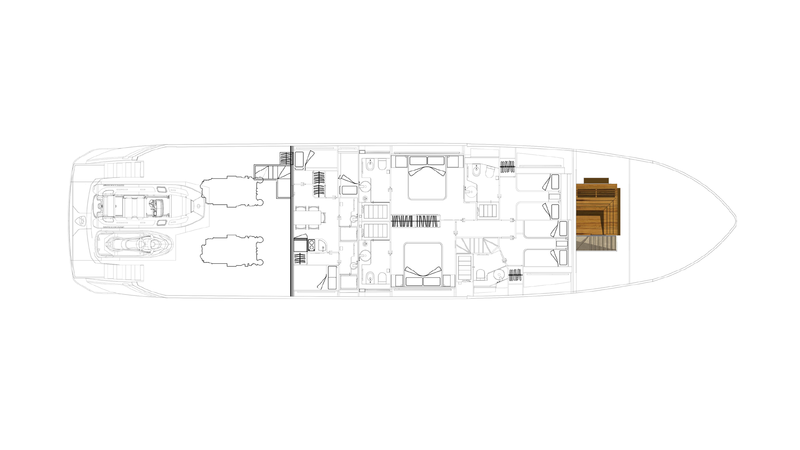 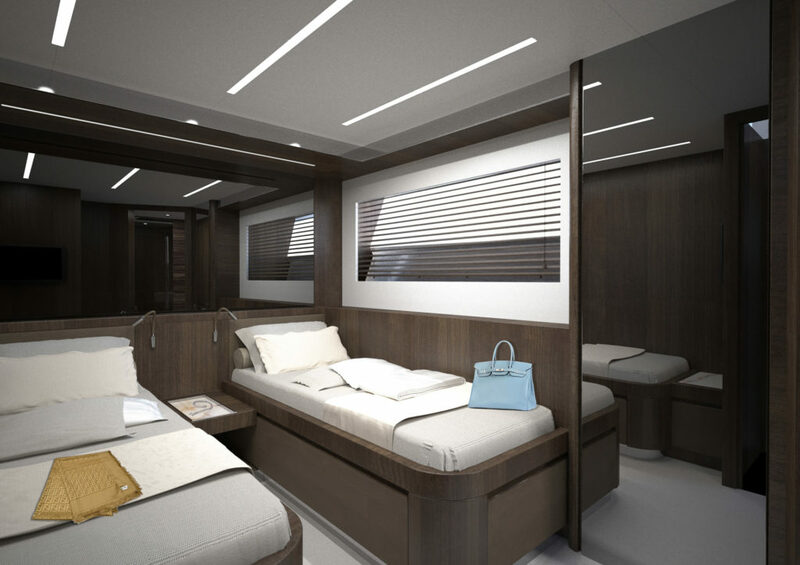 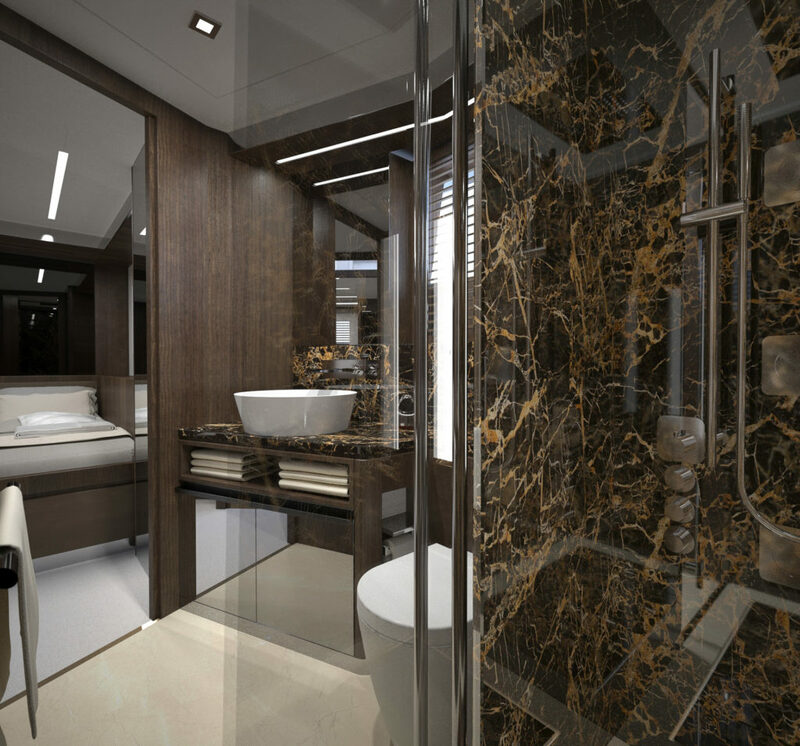 Your advantage is primarily a bigger owner cabin with greater privacy, no step between the stern cockpit and the owner bedroom, and much more daylight in the owner cabin. 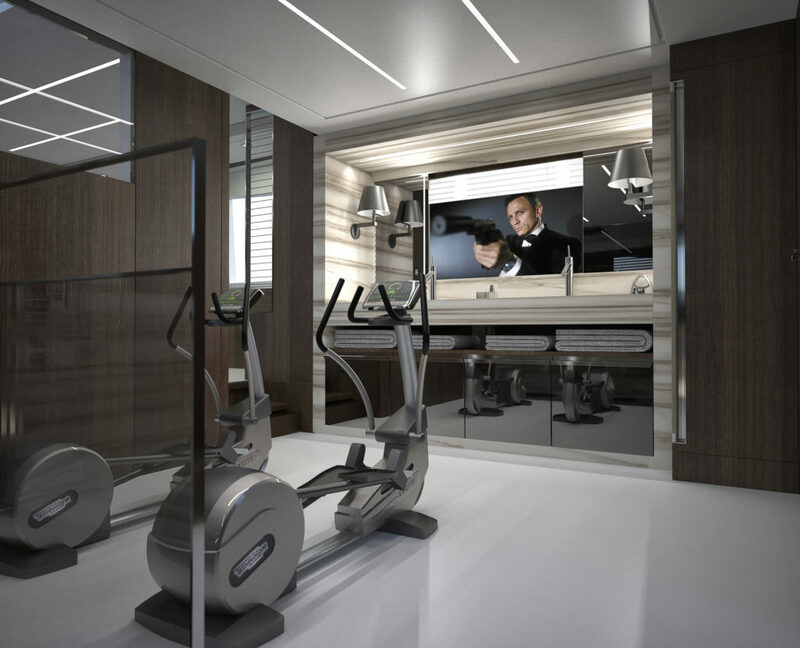 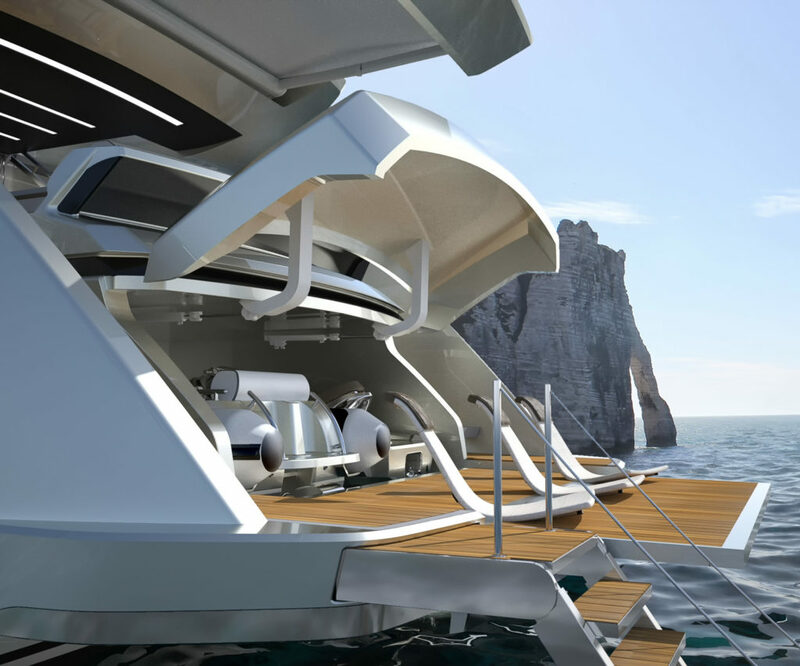 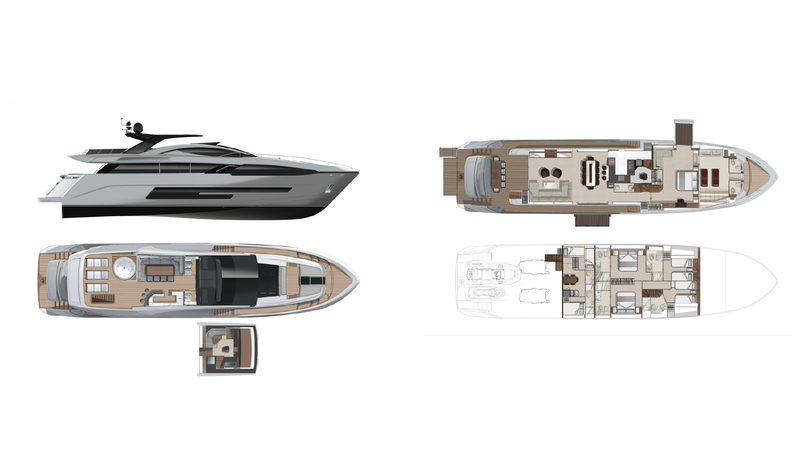 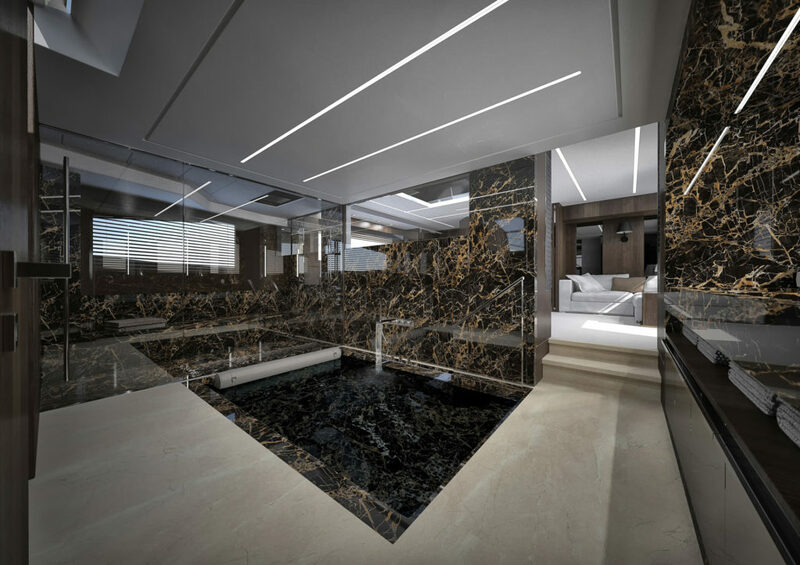 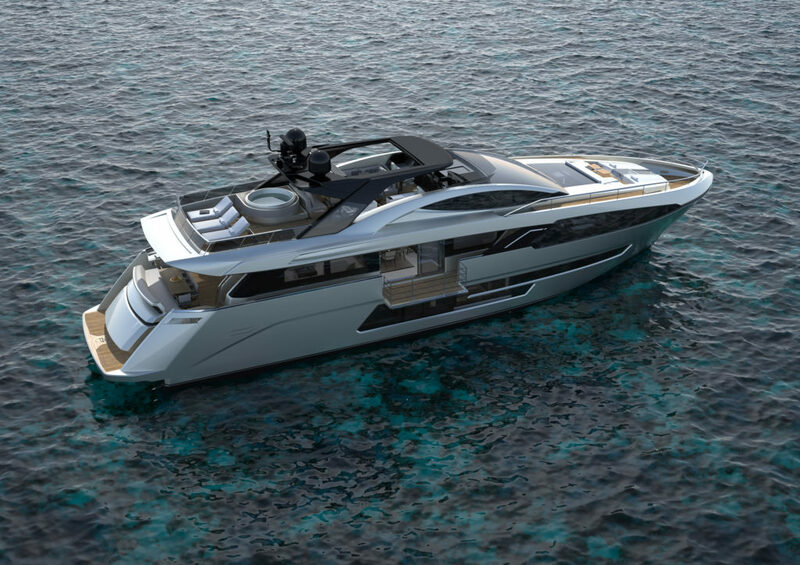 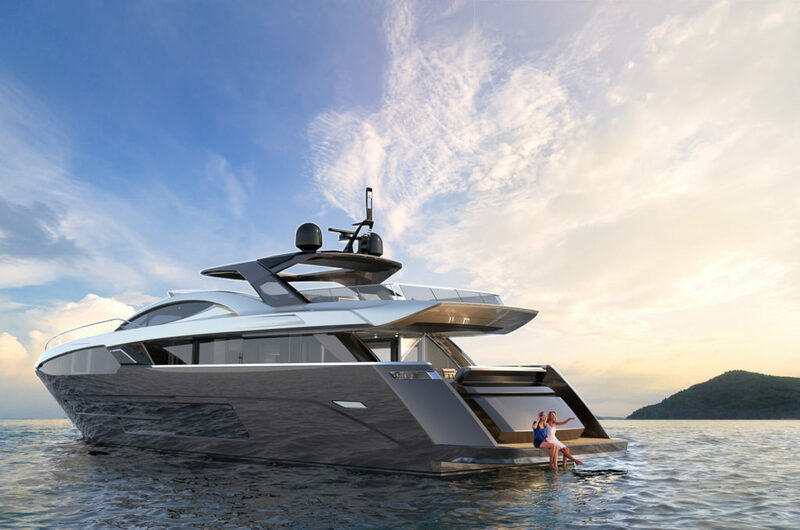 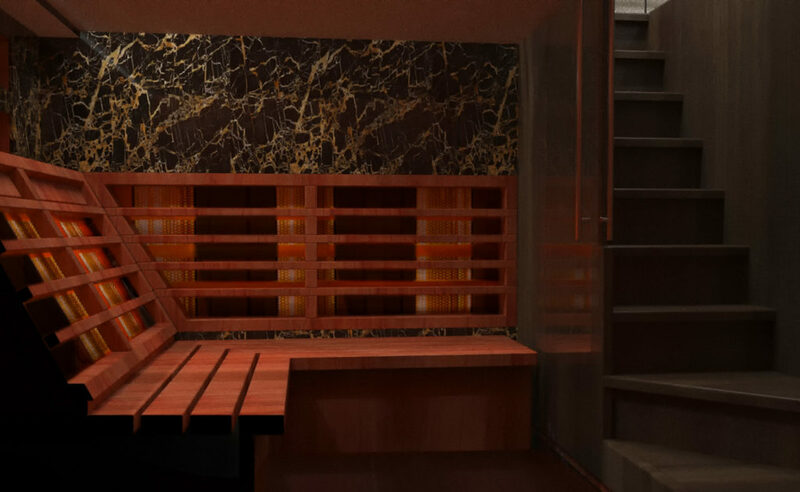 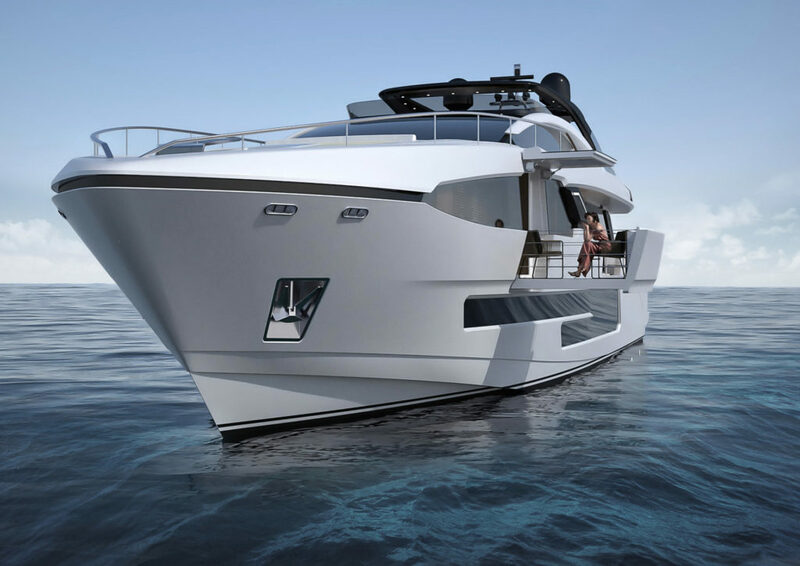 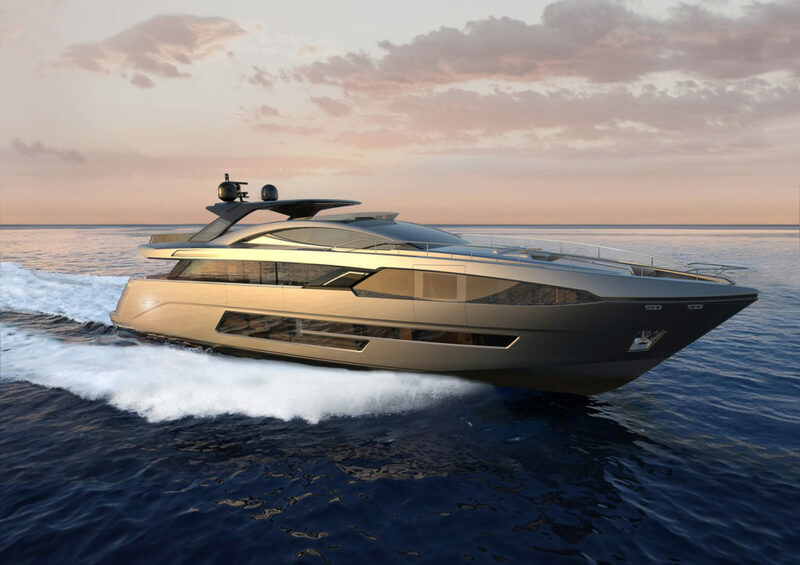 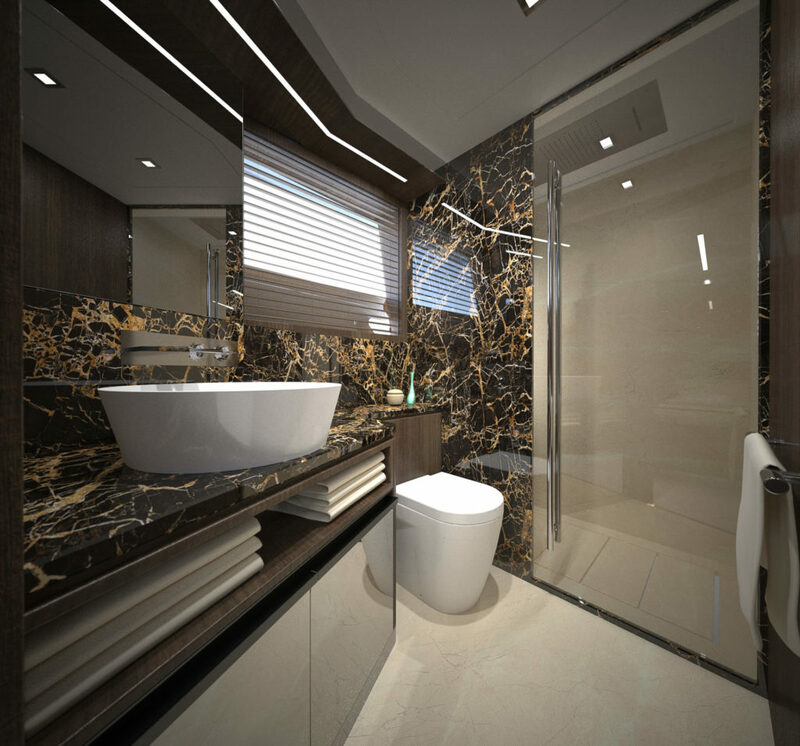 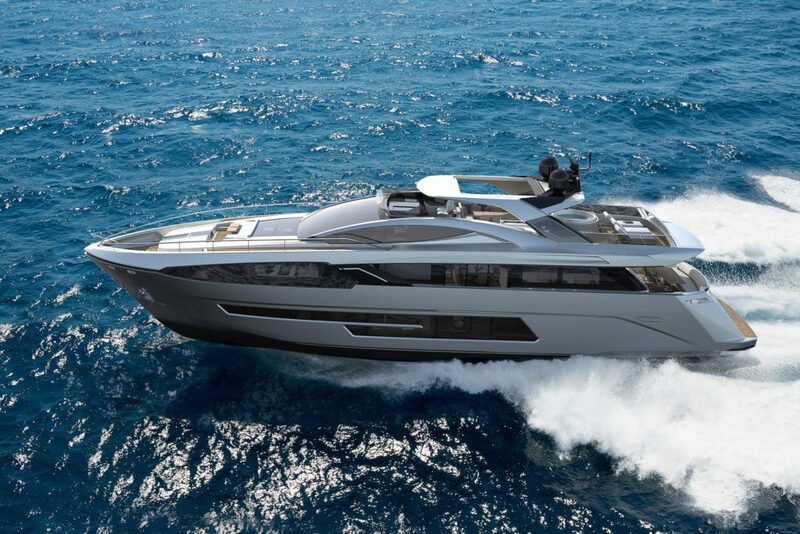 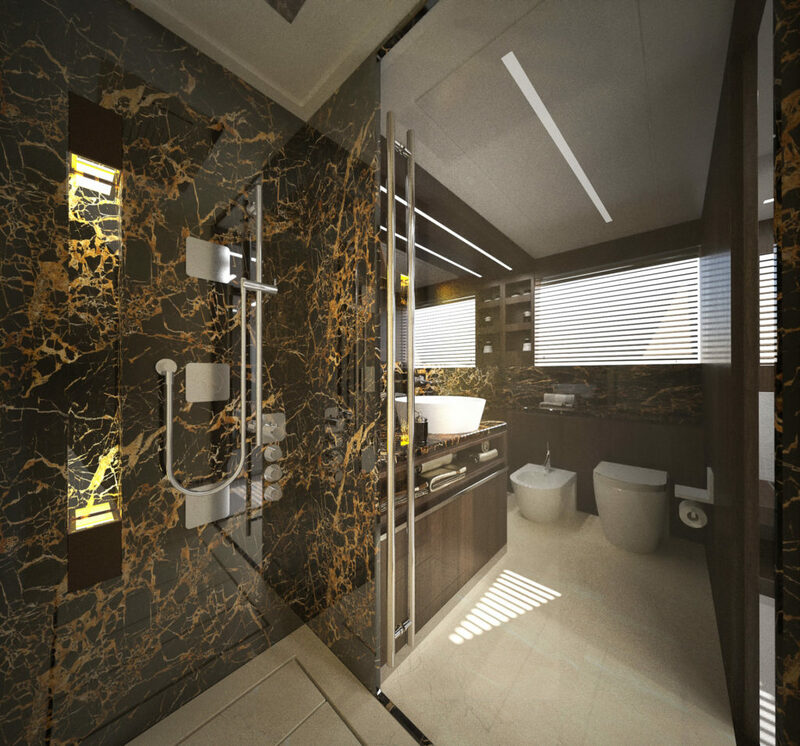 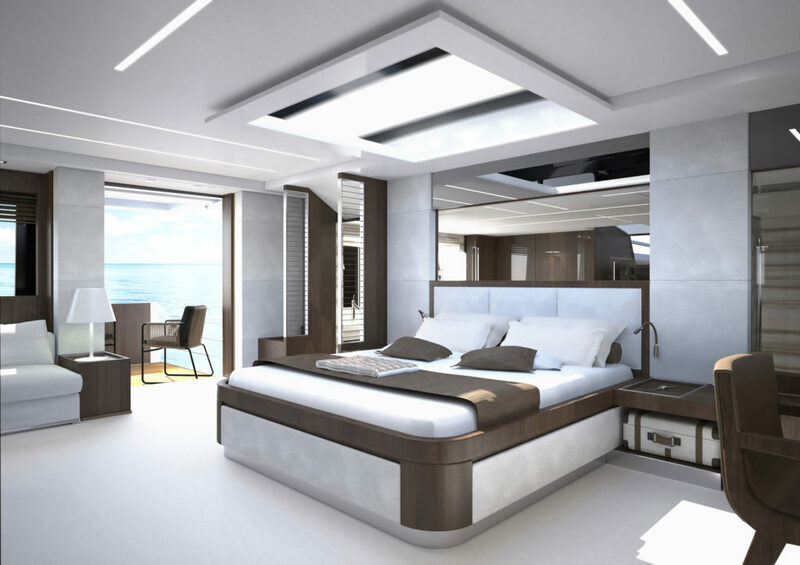 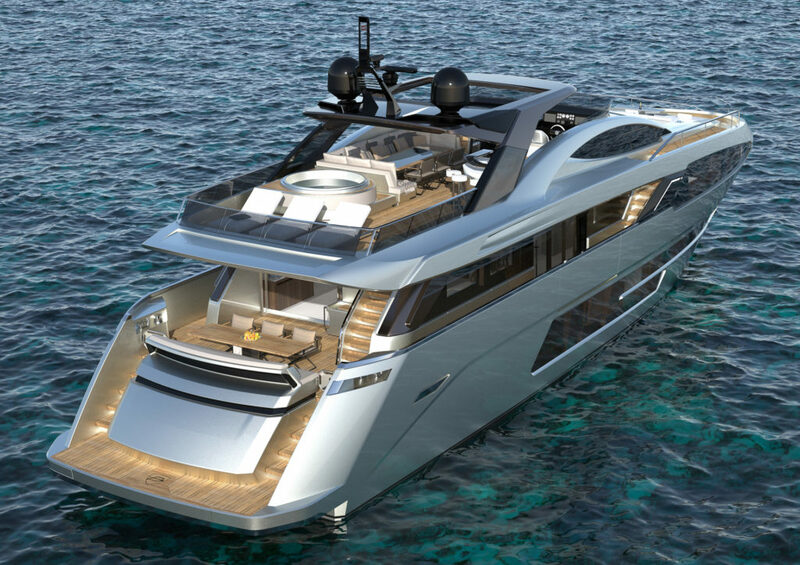 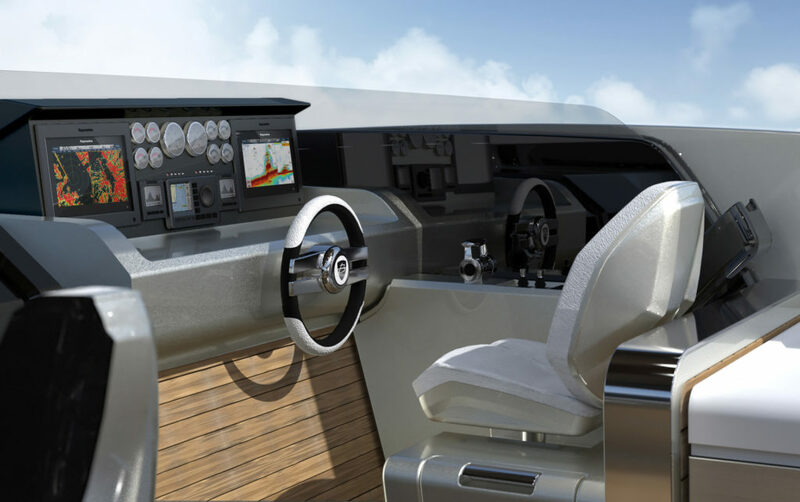 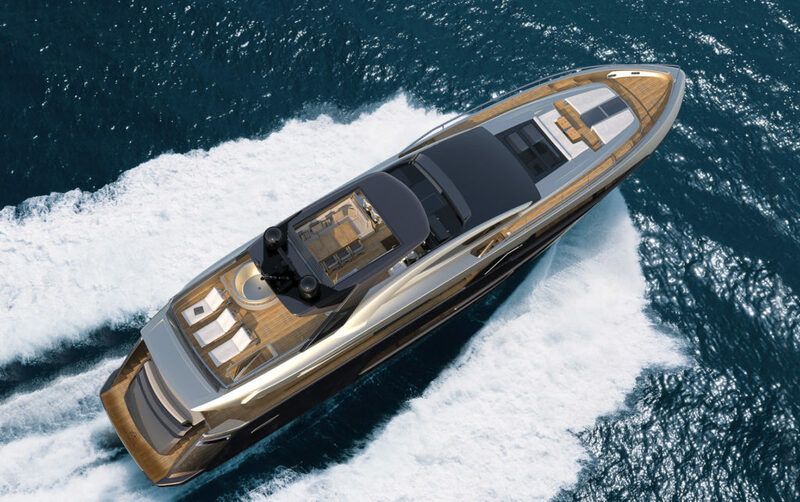 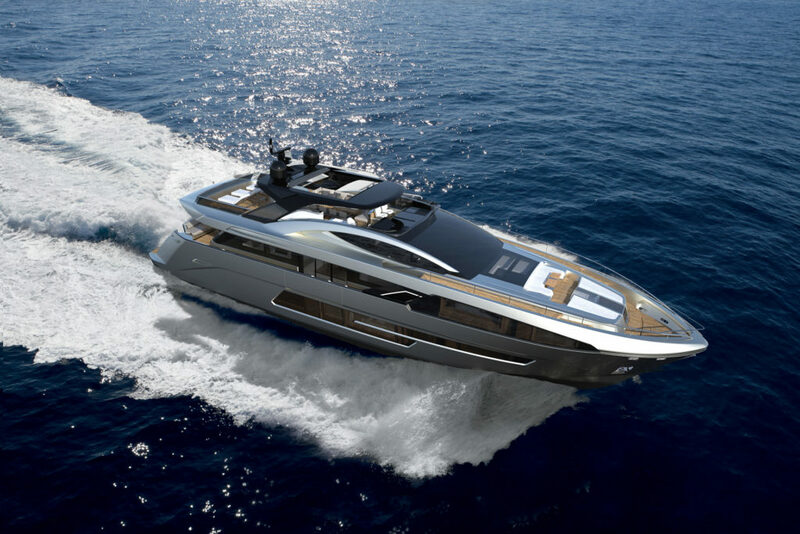 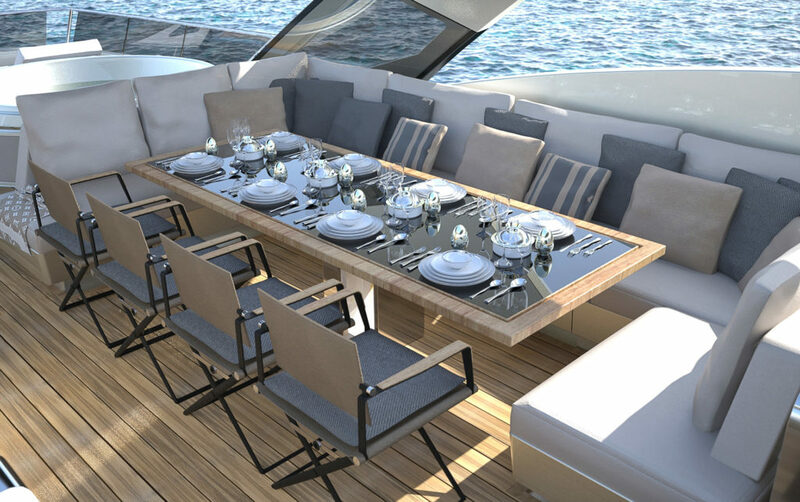 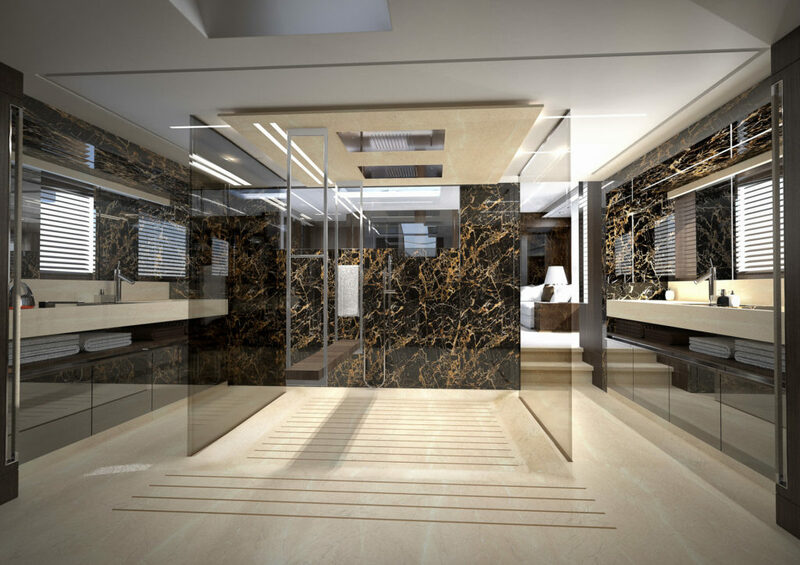 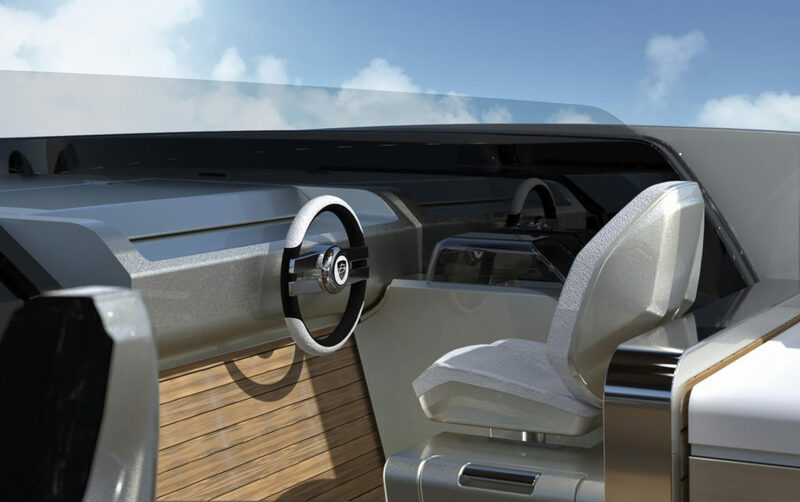 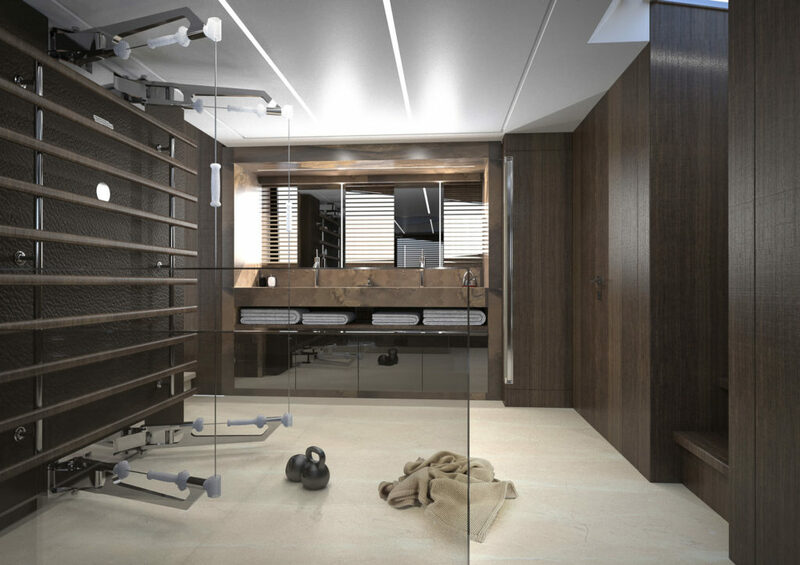 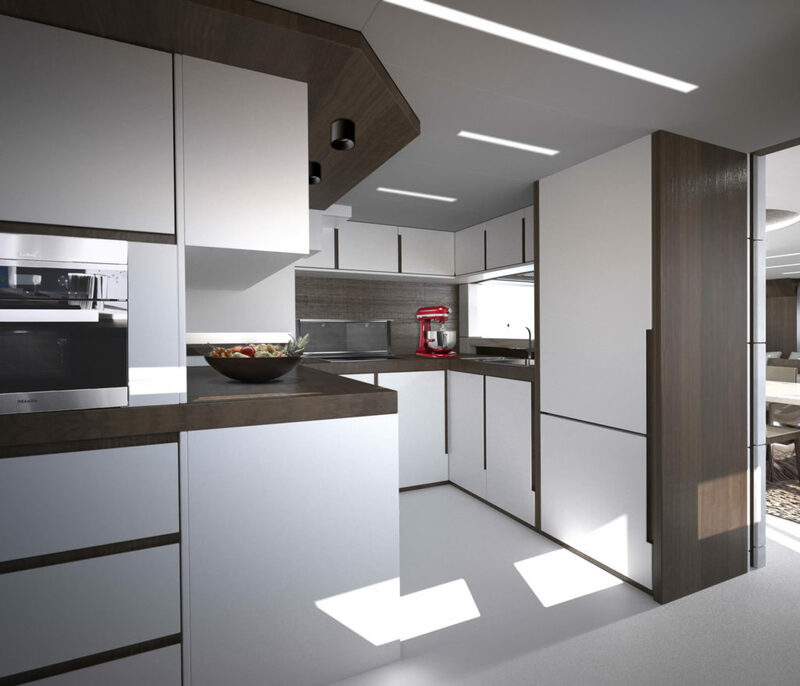 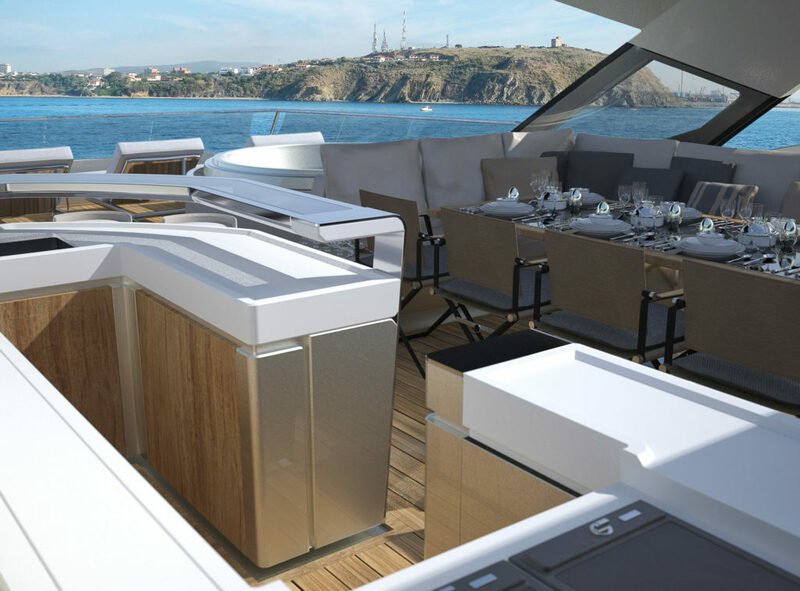 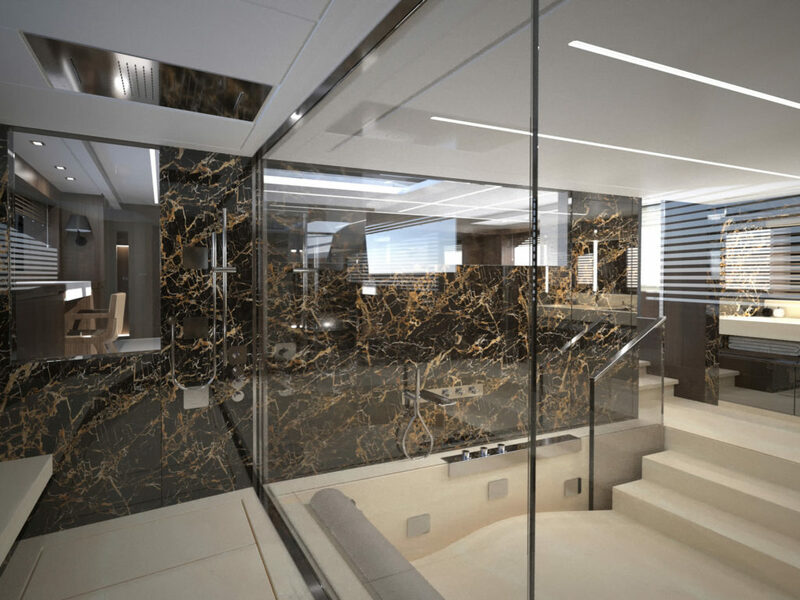 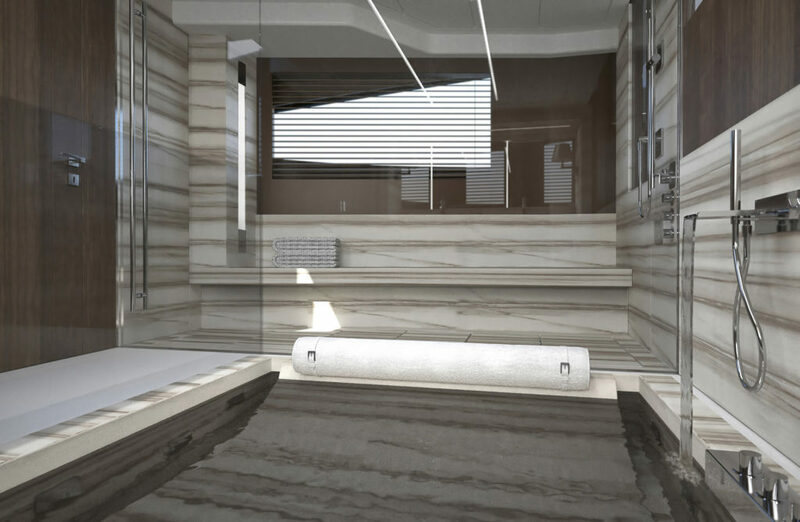 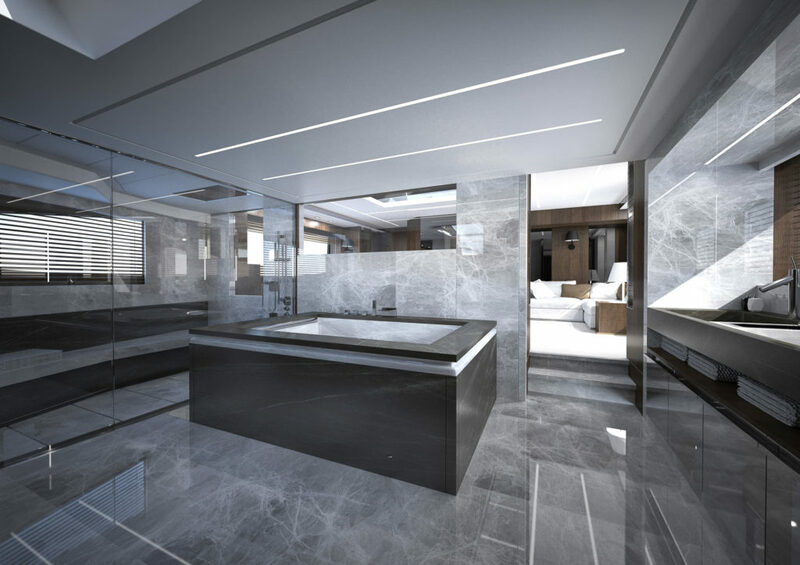 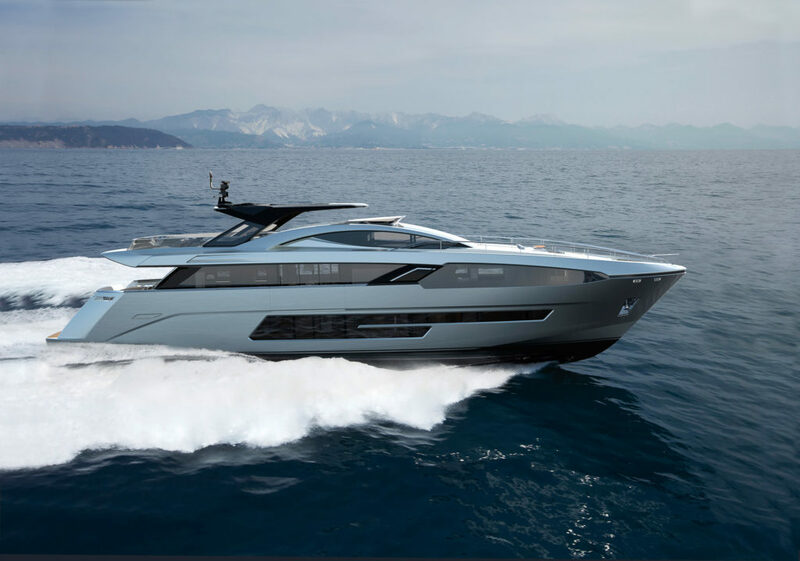 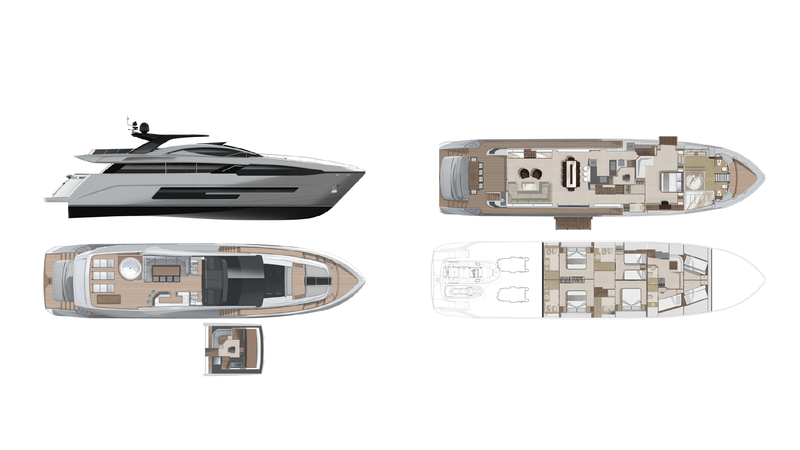 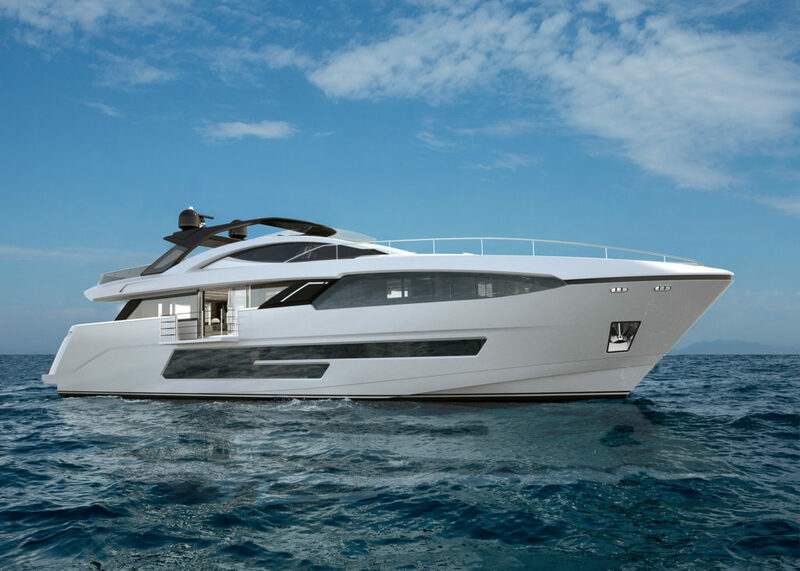 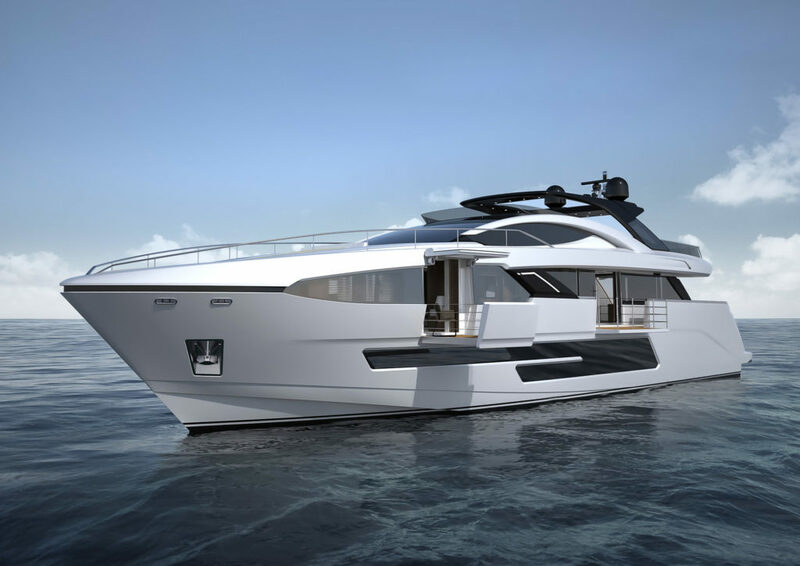 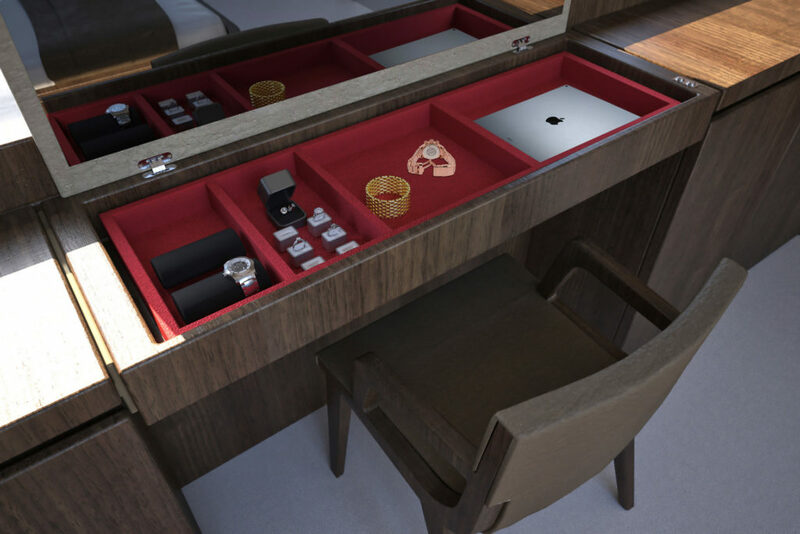 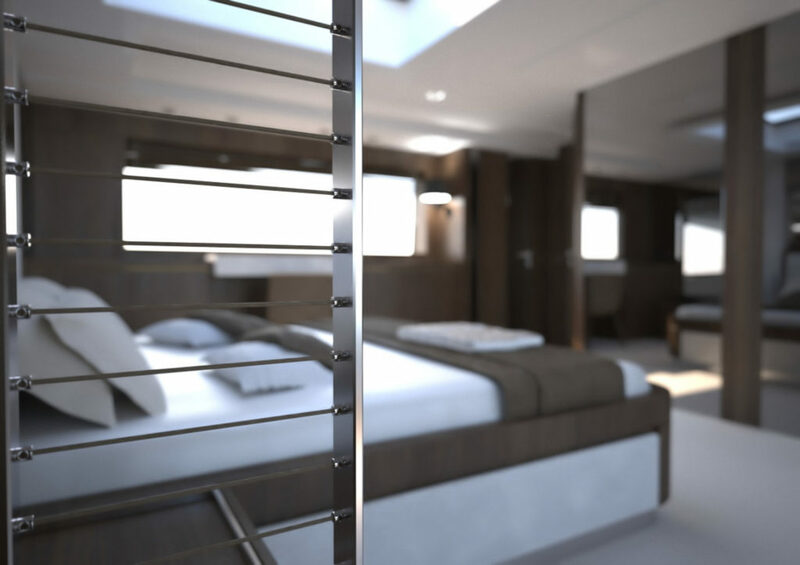 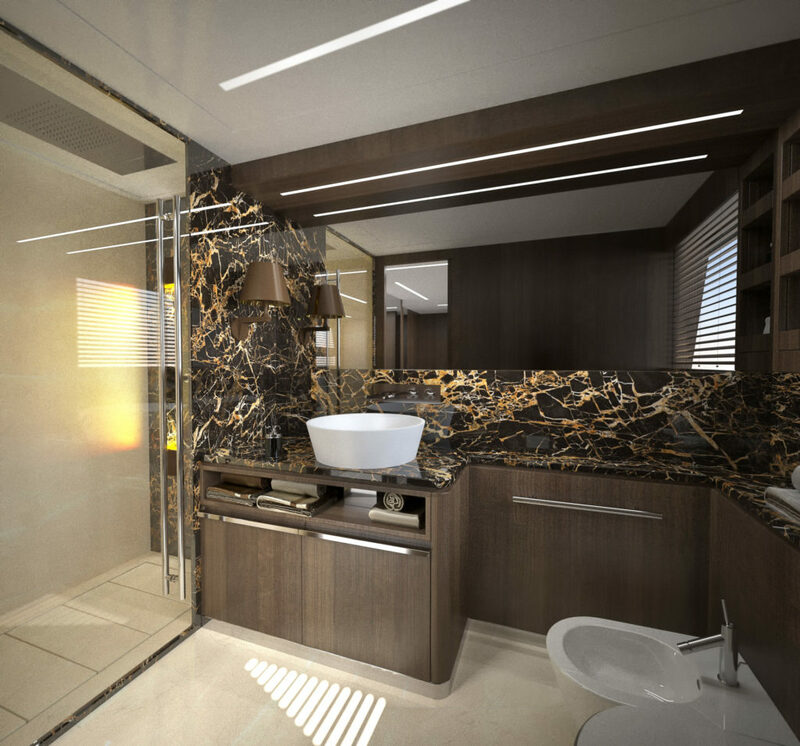 “Fusion design” also means that features and materials, which you usually find only on mega yachts and super yachts, are integrated in this concept. 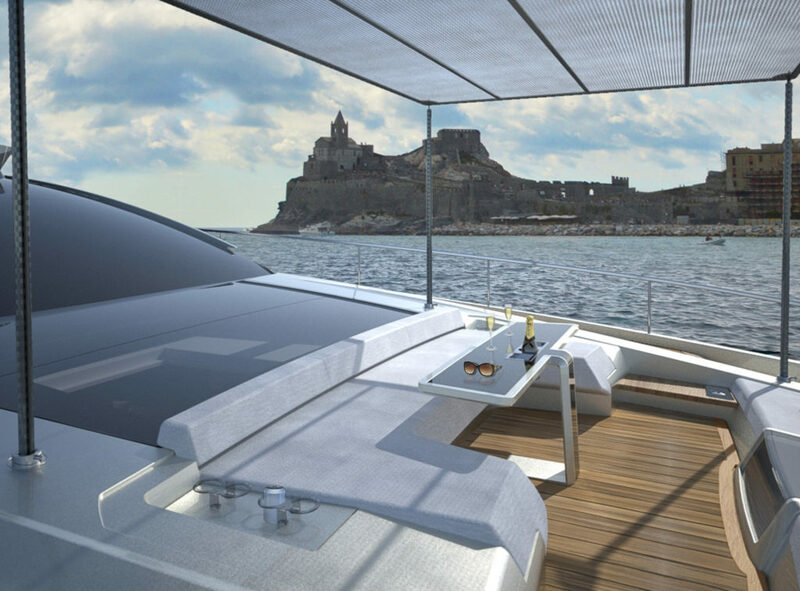 In this way every BUGARI yacht becomes a really unique masterpiece. 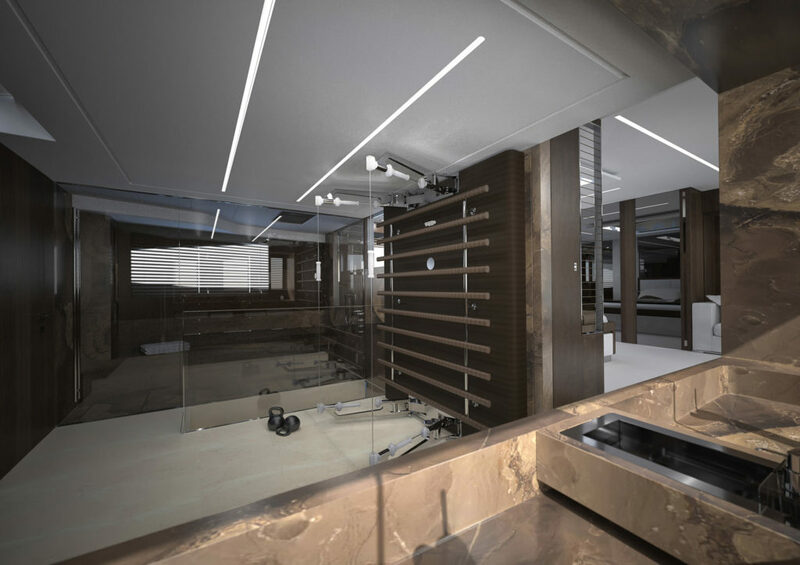 We give our utmost and undivided attention to the owner’s personal visions, emotions, wishes and needs while planning and building each individual yacht, which is exactly tailored to the owner’s personality. 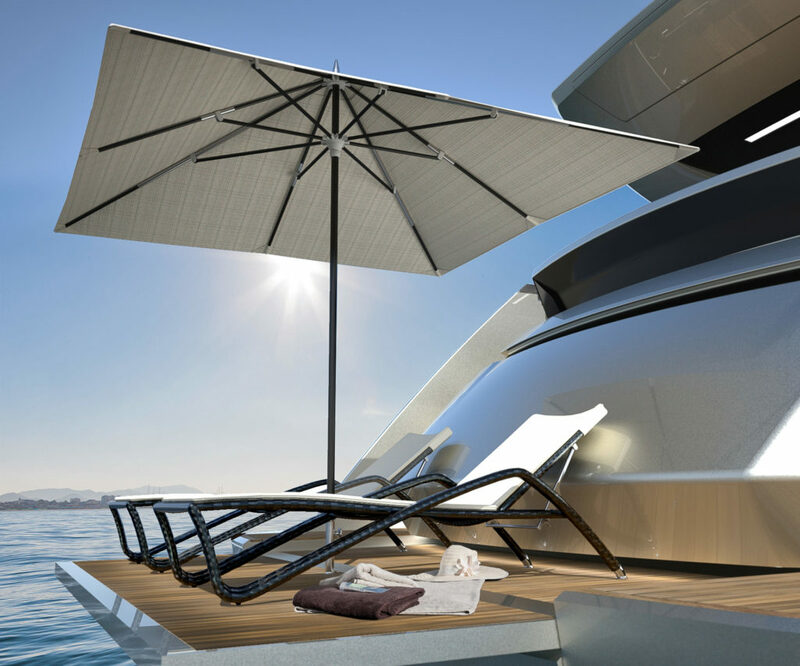 At the beginning of each cooperation we form a development team with the future owner, CEO, designer and shipyard manager. 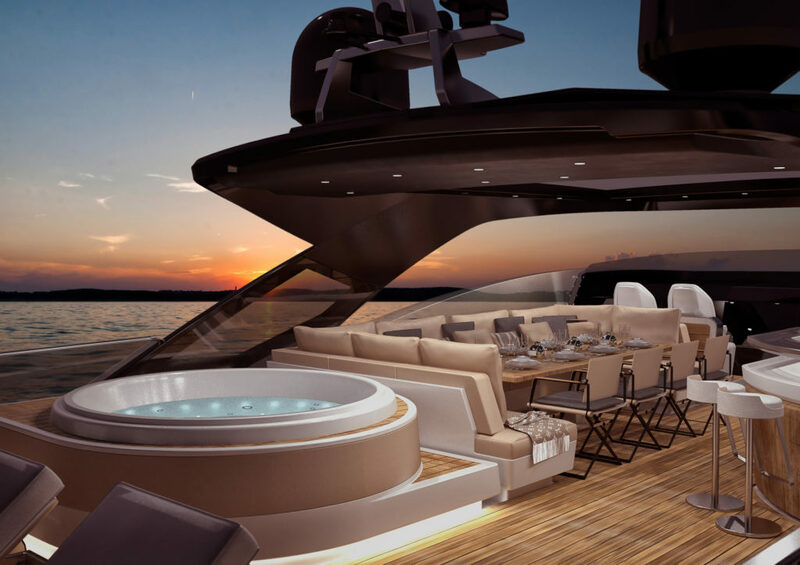 This team works out exactly the specific criteria necessary to provide a yacht that matches the personal characteristics of the owner. 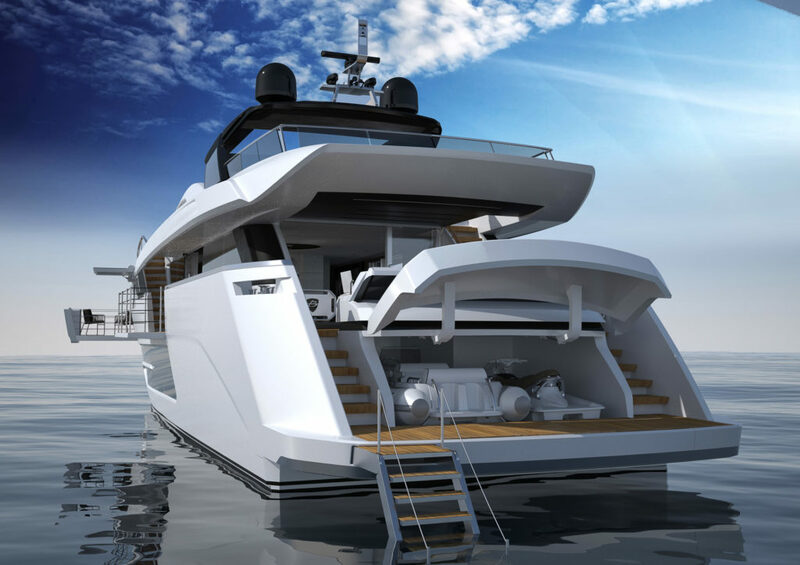 We use these criteria to develop the owner’s individual concept and implement it step-by-step through the different areas of the vessel, taking care of every little detail. 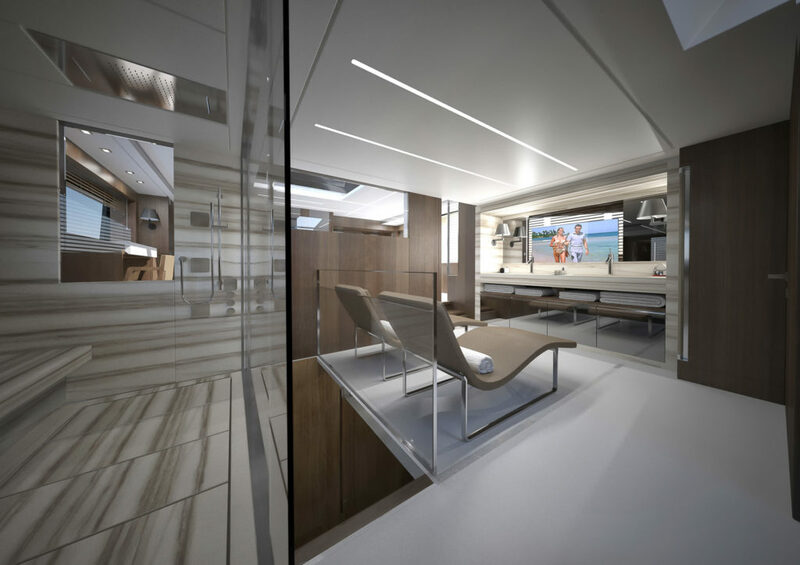 In this way every BUGARI yacht becomes a really unique masterpiece, reflecting perfectly a personal character, which has been developed and planned by the owner. 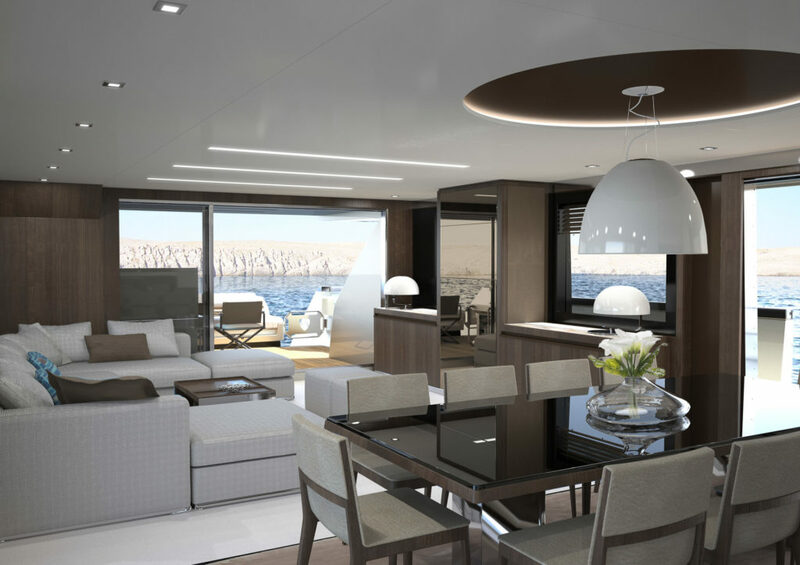 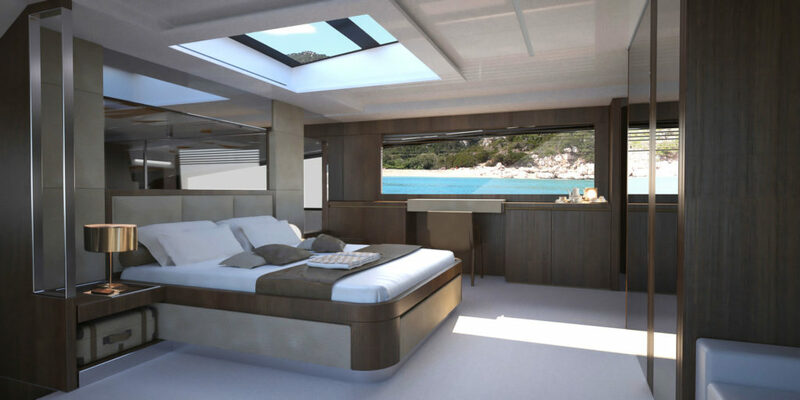 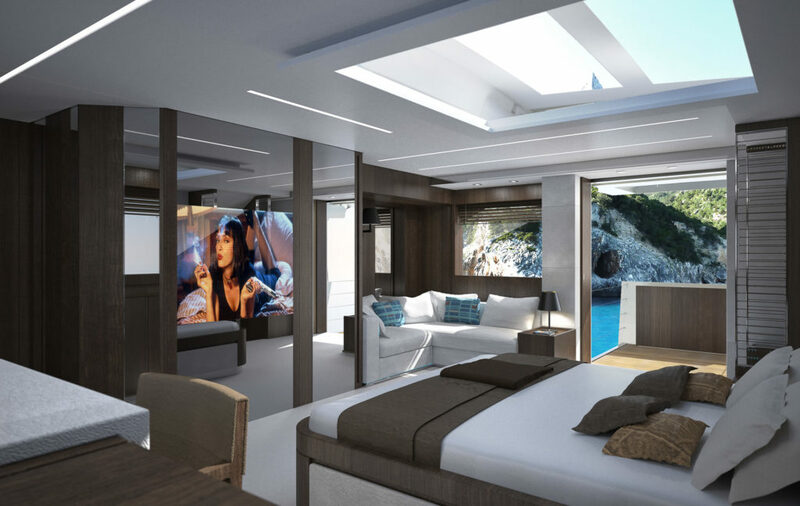 An important issue within the BUGARI concept is the functional process of crew activities without interfering with the private area of the owners and guests. 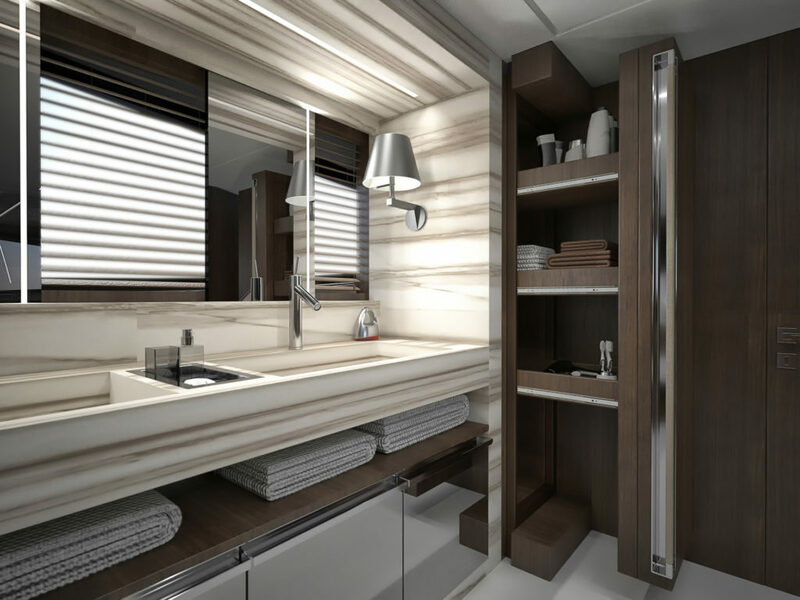 The layout positions of crew cabins, the galley, and interior steps to the fly and pilot stations, guarantee smooth crew operations while the privacy of the owners and guests remains undisturbed. 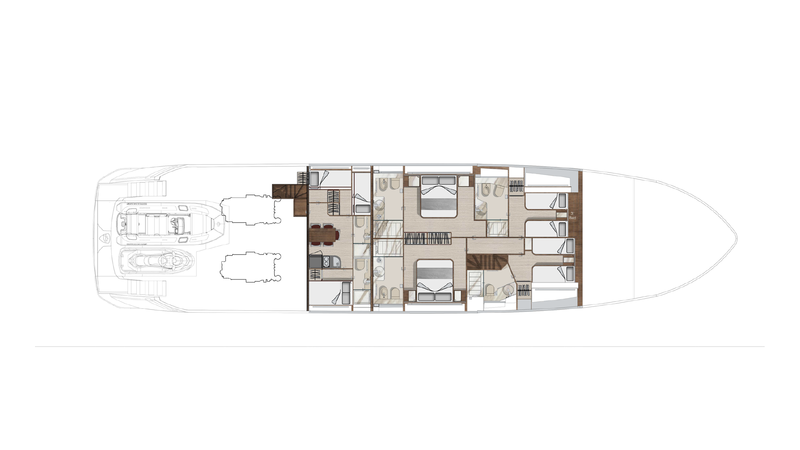 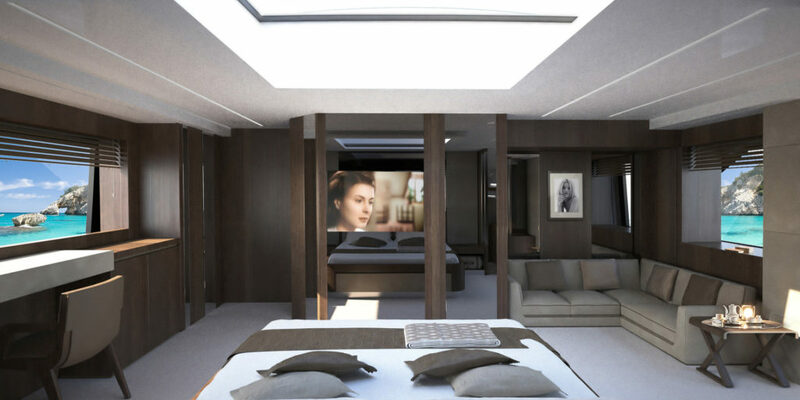 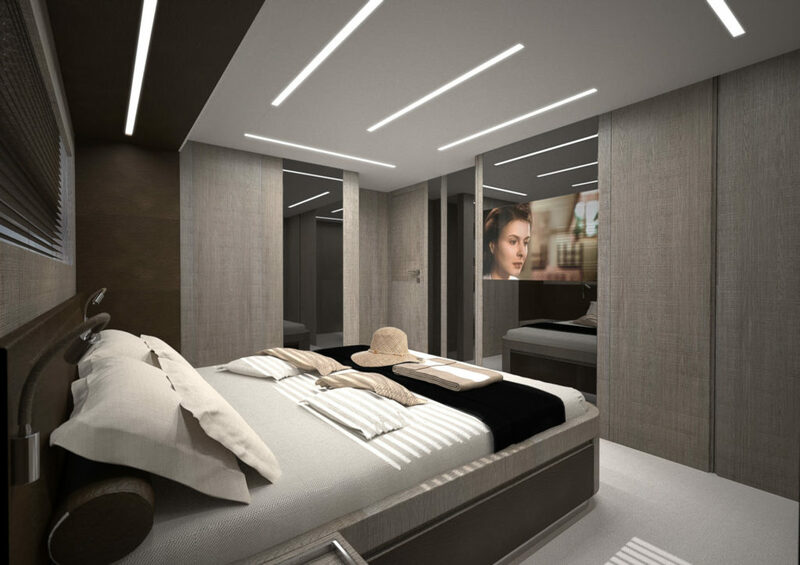 Also important in this regard is the layout position of the owner cabin in the front of the ship, whereas the crew cabins are positioned in the stern and directly connected with the engine room.